Now that the heat wave is over and the temperature is back in the 30’s (Celsius) I can walk along the beach again. 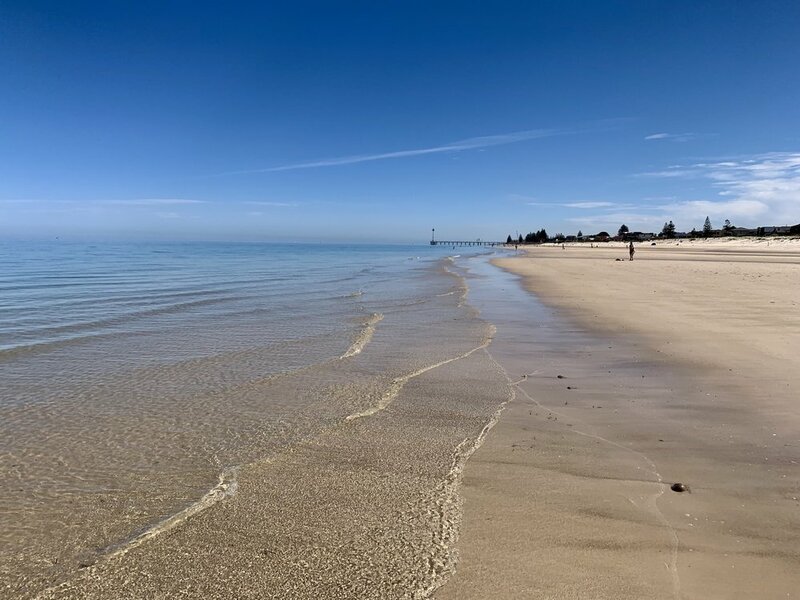 South Australia has some fantastic beaches and I’m lucky enough to have one of the best only 5 mins away from my house. 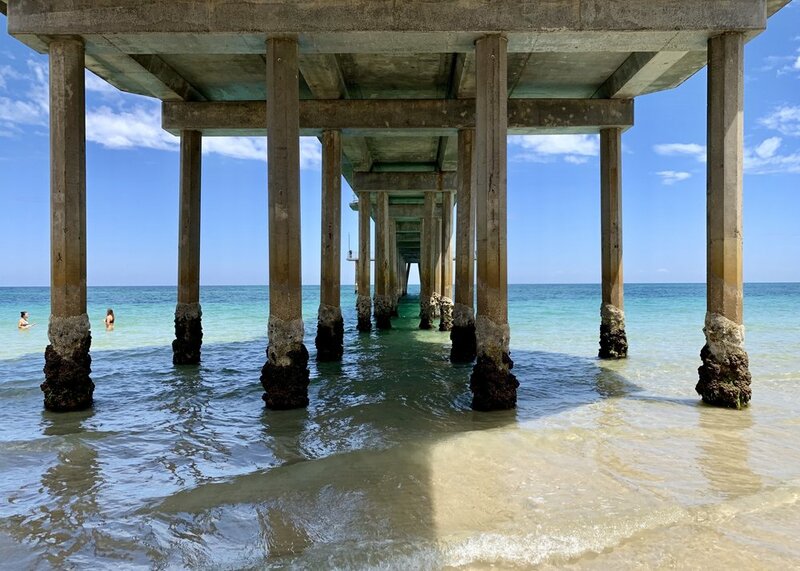 I took this photo on my iPhone Xs standing underneath the Brighton Jetty this morning. I’m quite surprised at the quality and the rich colours that the little sensor in the phone produces. It’s certainly a nice upgrade from my last phone which was 6 generations old and well overdue for replacement. Today I visited the The Army of Terracotta Warriors, a collection of terracotta sculptures depicting the armies of Qin Shi Huang, the first Emperor of a unified China. It is a form of funerary art buried with the emperor in 210–209 BCE and whose purpose was to protect the emperor in his afterlife. It feels like only yesterday that I was in China and I am back again in Xiamen. 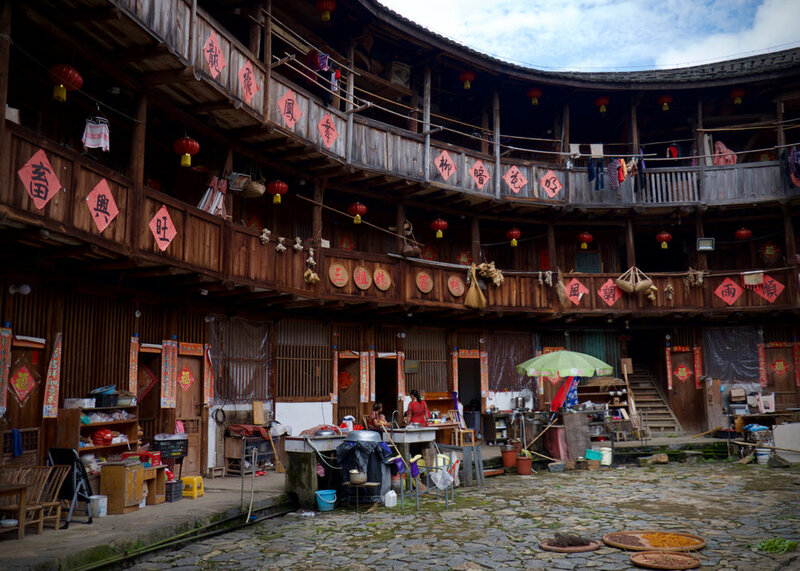 Before the class starts tomorrow I was fortunate to have traveled to the Fujian Tulou or “Fujian earthen structures". They are large, enclosed and fortified earth buildings which are dwellings for the Hakka people in the mountain areas in southeastern Fujian, China. The thick load-bearing earth walls are three to five stores high and house up to eighty families. 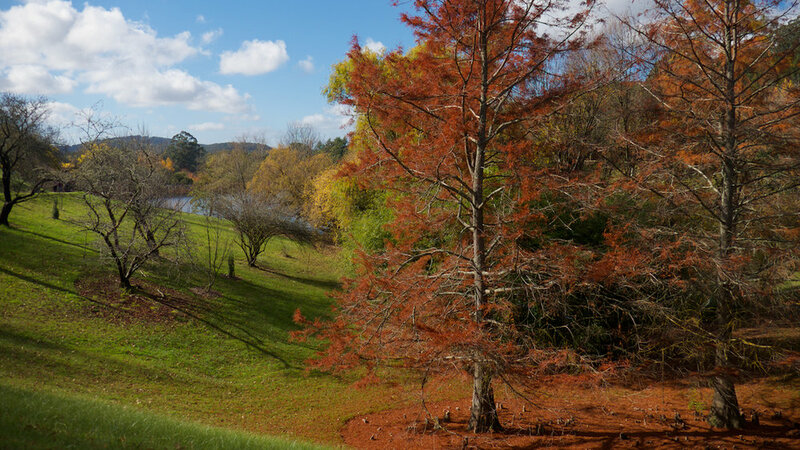 Walking around the Mt Lofty Botanical Gardens is great way to get some exercise and fresh air. My wife and I spent about two hours walking about (and getting a little lost) in the gardens. Apparently we missed the best time to see the autumn leaves, which is during the first two weeks in May. Whilst walking about, I met a fellow Fujifilm photographer. We talked about gear and I mentioned that I am looking forward to seeing the new features of the Fujifilm X-T3 when it is released. For those that are in Adelaide and have not been to the Mt Lofty Botanical Gardens, I highly recommend a visit. On the way back from China I stopped in at Hong Kong. A stroll by the harbour with the Fujifilm X-T1 and the 35F2 yielded some good results. I'm quite happy with the photos of the ships against the backdrop of the city lights. The morning began with a trip to Lotus Park with a leisurely walk to the top of the hill. On the way back down we saw people practicing Tai Chi and a group of students that had graduated from Yoga class. The next stop was the art gallery and then onward to the museum. The Shenzhen Guan Shane Art Museum is named after Mr. Guan Shane, a famous Chinese artist, educator and master of the Lingnan School of Chinese painting. Below are some works from a variety of artists. Below are some artefacts that were on display in the Shenzhen Museum. Some of these items are over 3000 years old. After the class lesson on Saturday, the students took me to a small festival gathering. It's based around the Xiamen Mooncake Gambling tradition where members gathered around a table roll dice for a chance at winning prizes. The atmosphere was wonderful and it was easy to see how a shared experience of studying together had made them life long friends. There were many toasts and speeches throughout the night which didn't end after the dinner was eaten ... it was time to sing! Why not, alcohol improves ones singing voice after all, or so I was told. Moving on to the karaoke bar we sang to western and eastern music well into the night ... or was it the morning! Such a great experience to share with the students. Yesterday I flew into Xaimen, it was a long day of traveling. This morning I was taken on a tour of Gulangyu Island, located in the southwest of the city. It is a very picturesque place with about 20,000 residents living on the island. 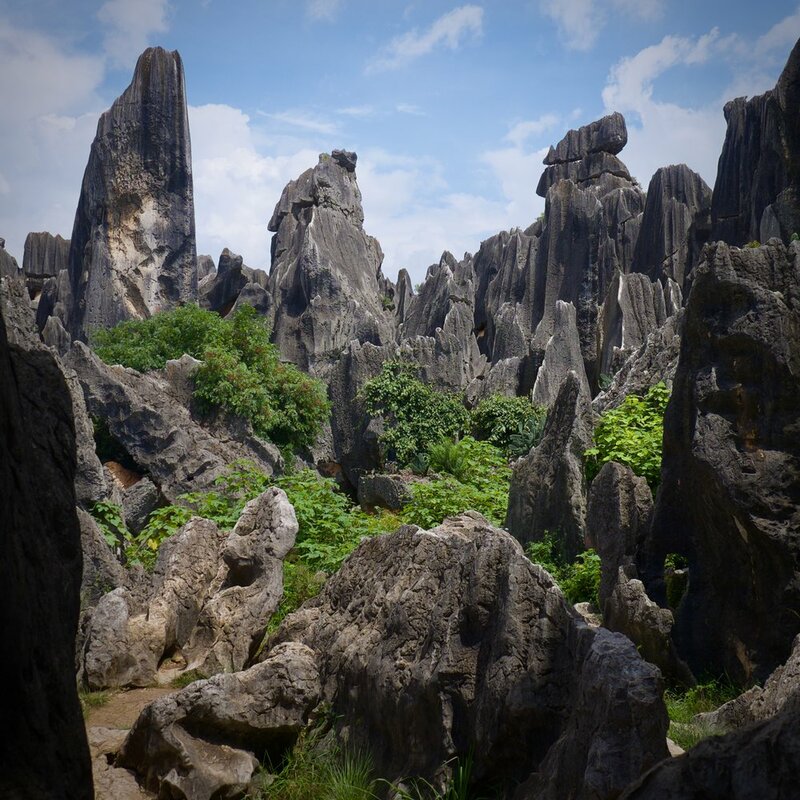 In July 2017, it was listed as a world heritage site by the UNESCO. There is a saying here that "If you come to visit Gulangyu Island and don't climb to the top of Sunlight Rock, then you haven't visited Gulangyu Island". Well, today I learn't that gravity is not my friend ... what a steep climb! The view at the top was amazing. Today I visited the Yunnan Minorities Cultural Village in Kunming with Aron, a cousin of a friend Linda, whom I studied with in Adelaide. It's nice to know people who know people. The minorities cultural village is host to 26 minority cultures, each with their own particularities in terms of language, religion, and in the ways of conducting themselves in relation to others, in attire, eating habits, the way of travelling, festivities, marriage, birth and burial customs. Aron mentioned that a lot of western people don't travel to visit this wonderful place which I think is a shame. The cultural clothing was incredible, so bright and detailed.